Lately, for some unknown reason, I've had a hankering for the flavours of Sichuan. 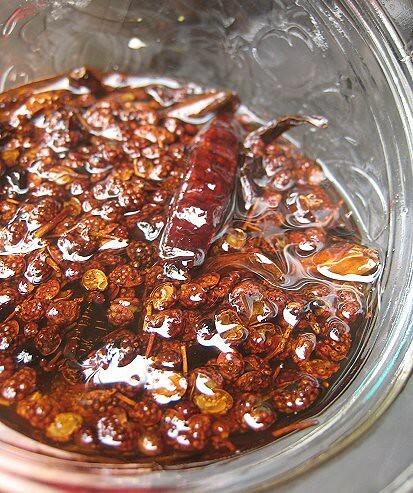 Having had no time to indulge fully my urge for Sichuan tastes as yet, I thought I'd make a quickie Sichuan chili oil as placeholder for delights yet to come. I used Sichuan peppercorns and dried chilis (instead of flakes) in mine, as well as the sesame and peanut oils. 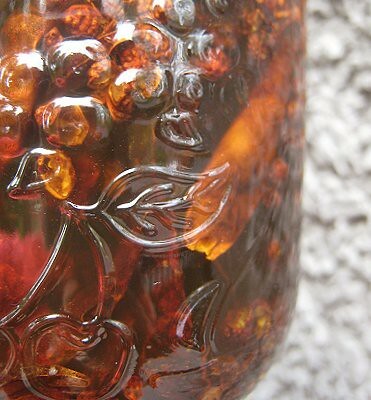 The aroma in the kitchen while JS was making this oil was swoonworthy! We didn't bother straining out the bits and bobs in the oil. 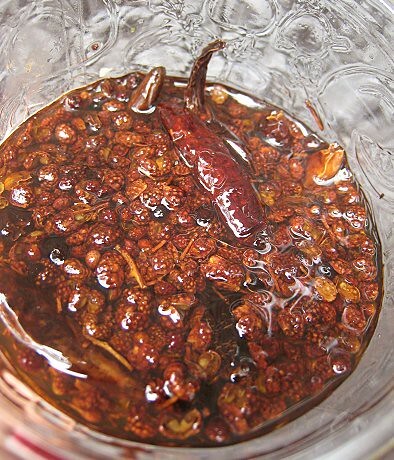 We used the two oils to make Spicy Sweet Sichuan Popcorn! My favorite Burmese restaurant gives little containers of this out with every take-out meal and it's surprisingly addictive. You feel yourself burning your mouth but you can't help pouring it all over your rice! Oh that looks too hot for wimpy me but I bet the hubs would love it. I am a sucker for things that burn! I love your idea! That is hot! I cant wait to try it.